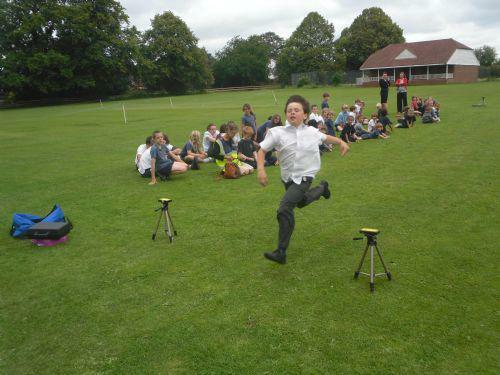 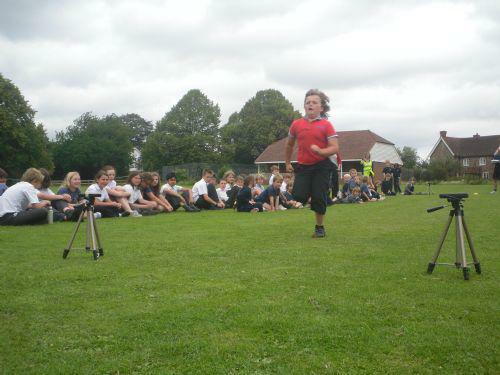 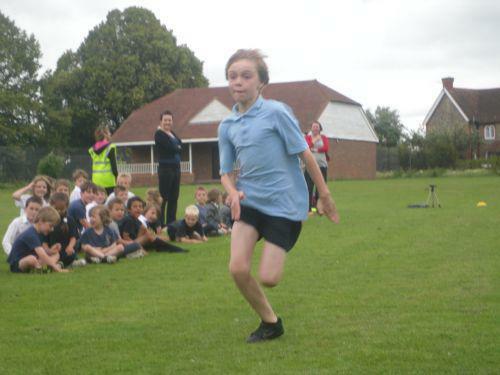 Pluckley put on their running shoes and took on the 20metre Sprint Challenge today. 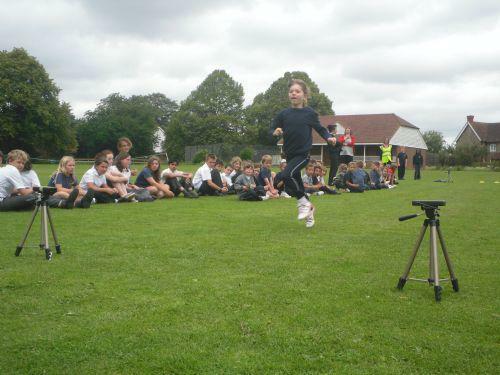 The 20 metres were marked out using fantastic electronic equipment which had infra-red beams to start and then stop a timer to record our times to within a thousandth of a second! 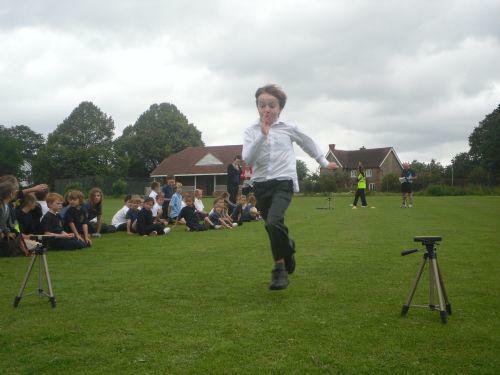 The whole school took part (including teaching staff) and had their times recorded as the final event of Pluckley's Sports Week. 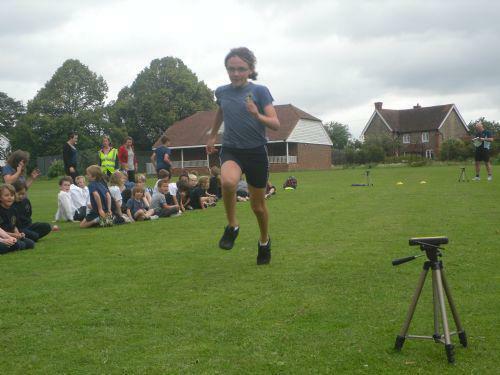 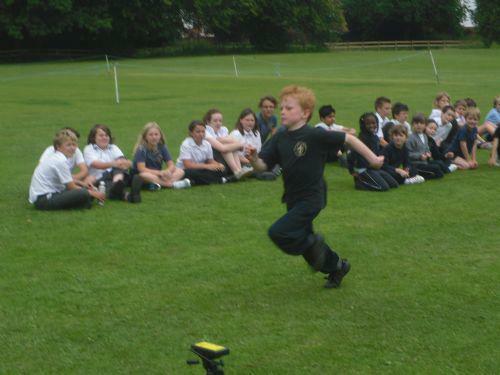 There were some lightning quick times recorded, some unexpected results and very hotly contested teacher's sprints. 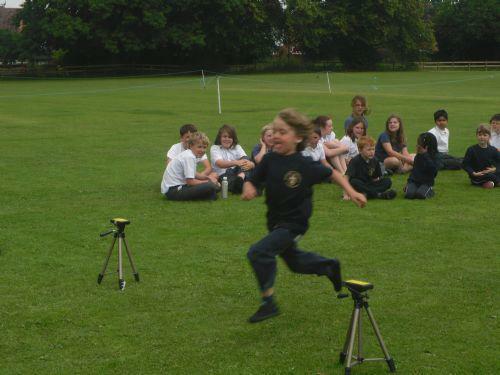 With sports day approaching, everyone is looking forward to further competition and lots more fun!